You must make bookings at least 5 minutes in advance of the time at Angler - London. 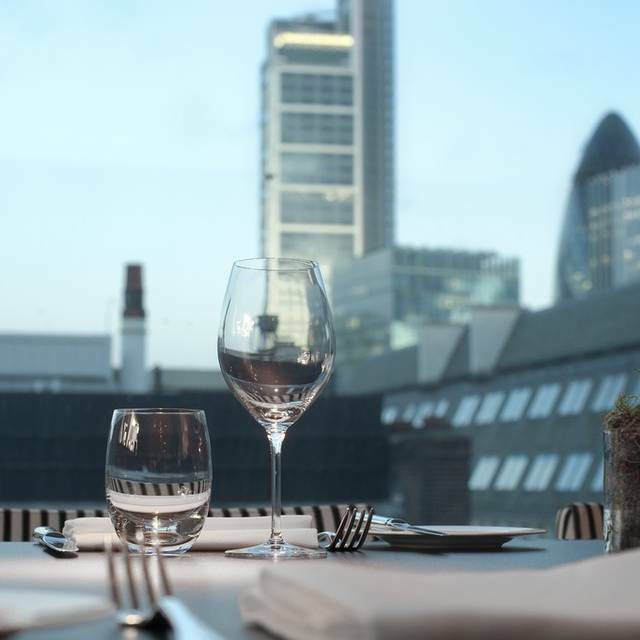 Perched at the top of South Place Hotel, the Michelin-starred Angler - London restaurant showcases sustainable seafood from British waters, paired with the best seasonal and local produce. 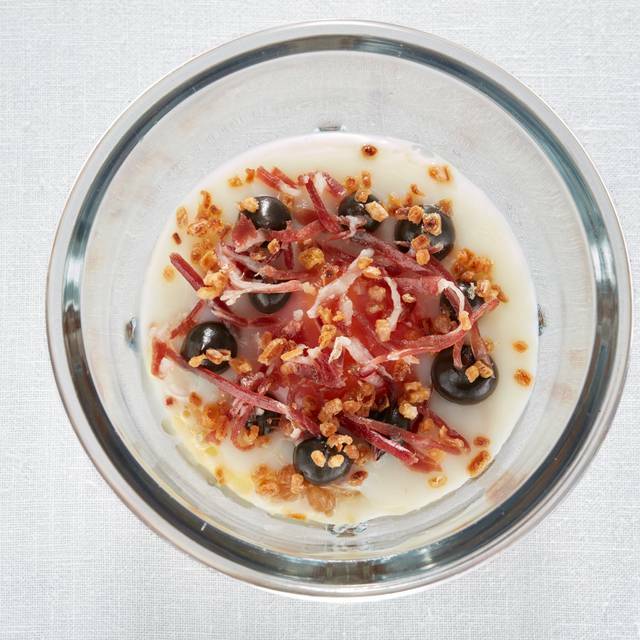 Overseen by Executive Chef, Gary Foulkes, the menu features picture perfect dishes and accomplished pairings, making Angler a destination for savvy London diners. Angler is a stunning setting for entertaining, with options for intimate groups as well as exclusive hire for launches, parties and weddings. 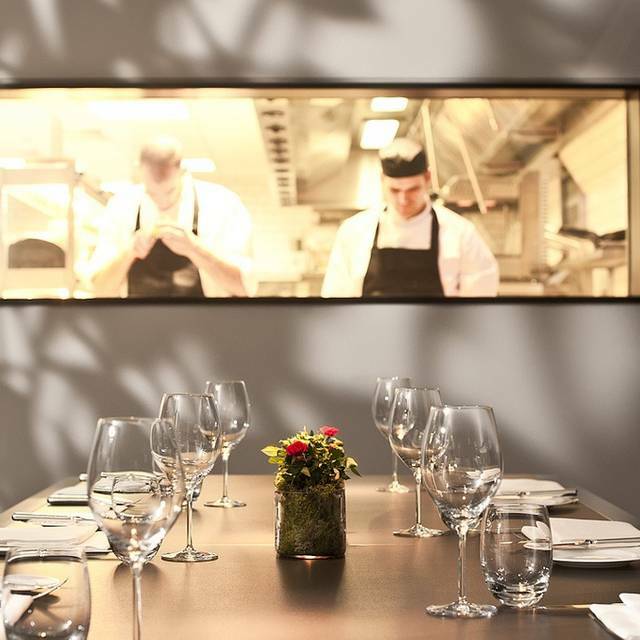 In addition to Angler, South Place Hotel has five dedicated spaces for meetings, private dining and events. Stunning food, faultless service ( like a well oiled machine). 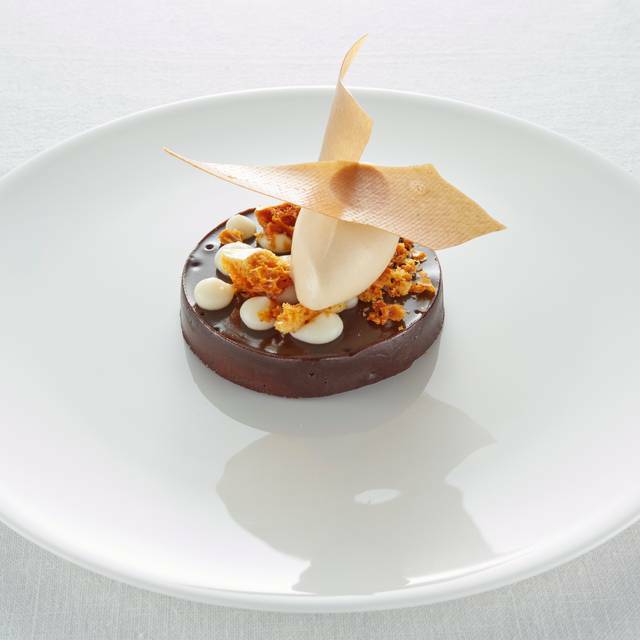 Absolutely one of the best tasting menus I have had in London. Tiny, tiny portions at exorbitant prices. For another £5 or so you can get a whole Dover sole somewhere like Scott’s instead of their tiny turbot which was so small that they served it in a cereal bowl. The starter of rabbit cannelloni and langoustine did not taste of much but it looked nice. Two extra mains were ordered as people were still hungry after their starters and mains. They give you plenty of bread, presumably to fill you up. We didn’t order any desserts as we saw at other tables how small they were. We shall not be returning. The meal was good. Mayonnaise/cream in earlier taster menu dishes could have been less, and other flavours more pronounced. Later courses in menu good. Second strawberry dessert very good. Wine selection could have been broader but was acceptable. 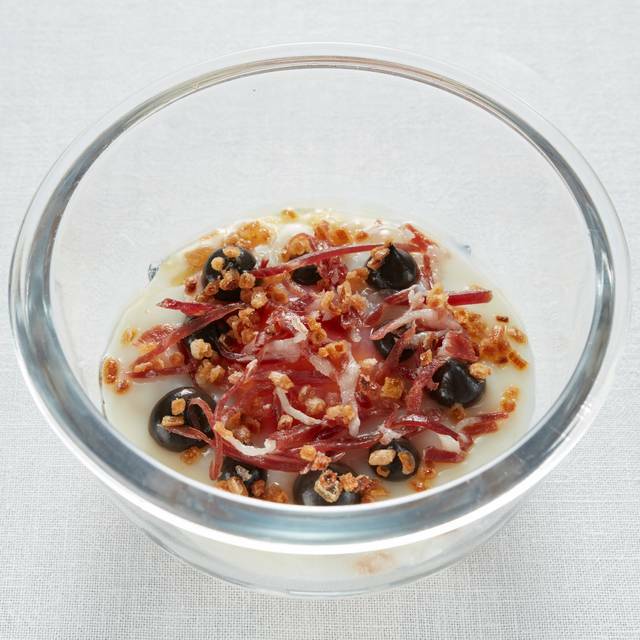 Creative yet clean and approachable food. Every course was delicious. The room is rather austere but has the advantage of allowing one to converse with ease. We had an absolutely amazing time. We were probably too loud a group ourselves. However the hosts were incredible, helped us chose a perfect wine. The meals were incredible, both delicious and beautifully put together. A lovely evening with delicious tasting menu, fun ambience. Great sommelier, Greta, very knowledgable. We tried the 7 course taster menu - this was excellent. If I'm really picky one of the dishes was perhaps slightly too salty, but the overall standard was very high. The highlight for me was the rhubarb, ginger and basil pre-desert. Good service and I think good value. We will return! Lovely setting, good service but the menu was limited, portions small, expensive and far too over fussy. Beautiful food and world class service. Great food and service was great! Arriving earlier than my guest, I sat out on the veranda in the early evening, abgreatvview of the working city, the service was excellent from start to finish. My wife and I had the tasting menu and it was amazing. The service was excellent and we would definitely recommend Angler. Truly Excellent service. Lemon sole was gorgeous. Wines by the glass are really nice but also very expensive. Service was really good. Food is average. Restaurant, food and service were great. However, as I had booked table through the Opentable website I thought I had booked the Evening Standard offer. Unfortunately the offer was not available on Saturday night but when I made the booking this was not made clear to me. I therefore went with my friends on the night only to discover we could only have the A la Carter menu. Much more expensive than I had expected and very embarrassing to be told my understanding of what I had booked was unavailable! Would it be possible for the Opentable website to make sure I am notified if an offer I have selected is not available for that particular date and time? Meal started well, with the usual pre-starter bits and pieces, starter was very good sand the service impeccable. The meal was let by a bland main course for both of us, with flavors so subtle as to be almost invisible. Forgot how good the food is. 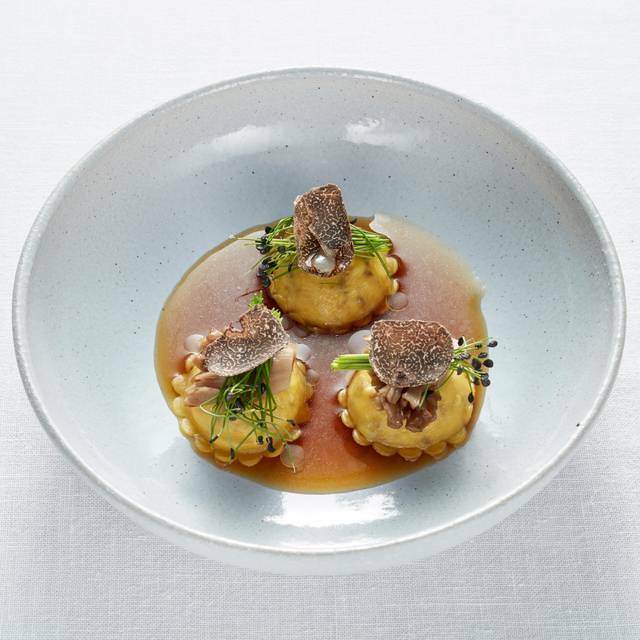 The Evening Standard 3 course deal is great value anyway but the exceptional quality of every dish (incl 3 amuse bouche) make the Angler a standout option every time we go. Coupled with excellent service and a relaxed atmosphere, this is a must. Food was delightful and without doubt the best meal we’ve had in the City for some time. Service absolutely impeccable. Very highly recommended. Exceptional food and exceptional service. We've been meaning to try Angler for a long time and finally had the opportunity. The setting and spacing between tables was excellent and the staff were very knowledgeable and helpful. We had a shorter tasting menu which was varied and very tasty as were the amuse bouche's. I had brill which was melt in the mouth and my husband had halibut also delicious. My favourite fish restaurant . The perfect balance of service and good quality ingredients. Positioned as the penthouse of a classy yet lively hotel, Angler’s dining room is stylish and understated, which is just what you’d expect from a French inspired gourmet eatery that finds its home in the hustle and bustle of East-Central London’s corporate hub. From the foyer to the final floor, the transition between hotel staff and Angler’s own is seamless and welcoming. Coats and bags are exchanged for a luxury leather token and you’re guided to a table of your approval. The introductory courses come out in well measured intervals and sizes, making a perfect bridge between arrival and starter. The amuse-bouche came as 4 dainty bread rolls, delicately crafted and full of rich complimentary flavours. 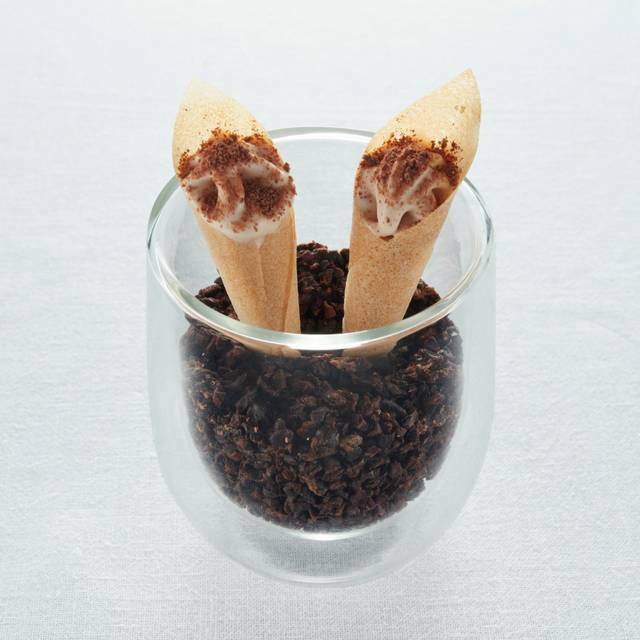 The hors d’ouvres followed, 2 unique takes on the classic cracker, a French twist on a British classic. The wine was poured, a bottle of Austrian’s (not so) finest, the Blaufränkisch was dry and full bodied, however not being a connoisseur myself, we should have maybe made more use of the friendly sommelier. The final appetiser: a slice each of sourdough, freshly baked and accompanied by a smooth herby butter, a perfect end to the hat-trick of welcoming dishes. The starters were appropriately sized and beautifully presented. The scallop was slightly overcooked but the Dorset crab was an almost perfect dish. The mains were both nicely sized and accompanied by an interesting array of artisan flavours. The Turbot, being one of the most expensive mains, was slightly bland, however the Cod stole the show and proved to be very good value for money. The night was capped by a quadrant of chocolates, the milk far outperforming the white, and we was left to finish off our wine completely uninterrupted by the staff for almost 45 minutes, a courteous understanding by the French contingency, mirroring their traditional custom. Would very much recommend, whilst the cost may limit this restaurant to special occasions, it’s a price worth paying for top quality seafood. Food good but far too much attention from staff, interrupting conversation every couple of minutes which turned good service into a serious irritant which resulted in my guest and I cutting our lunch short. High food quality, good money value, highly recommend it! 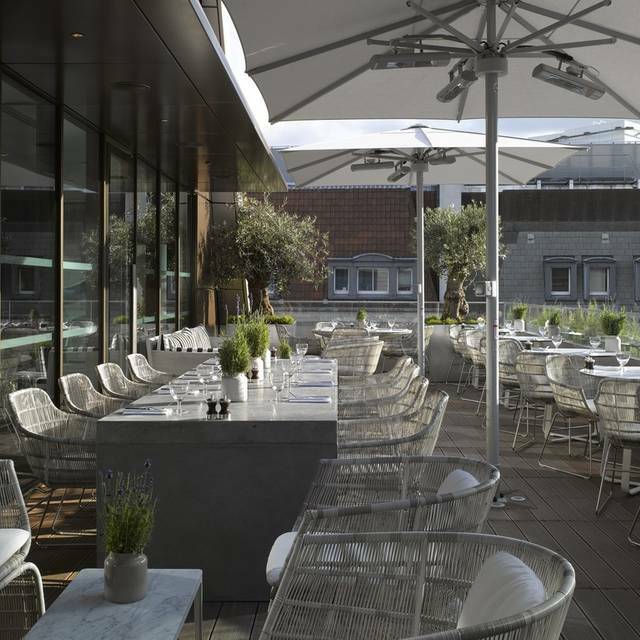 The restaurant is smart and modern located on the top floor of South Place Hotel, Moorgate. It has a small bar and outside terrace. My husband and I had the set lunch menu with a glass of Chandon bought from Buyagift. The quality of the food was good and the service was excellent. However, we were disappointed by the size of our main course served in small bowls as if the portion had been cut down. Also the wines were very expensive but we had a glass of the Italian house white which was pretty awful. On the plus side, we enjoyed the fresh crusty bread, the canapé, pre dessert and petit four. One of the best tasting menus in town! Wonderful sea food dish! I had mackerel tartare with baby shiso leaves as a starter and cod with squid and wonderful mushrooms as a main course. Both were excellent! The food was delicious and creative, definitely a place to indulge! Staff were super friendly and service was fantastic! We went there for my Wife's birthday and had the Tasting Menu. I can honestly say it was one of the best meals I've eaten in London. Head Chef Gary Foulkes is a Genius and our waiter Marco made the experience absolutely perfect. Would recommend this restaurant to anyone, can't wait to go back.